Search results for "5 dishes that make great leftovers"
Frittatas are one of the most efficient vehicles for leftover vegetables. 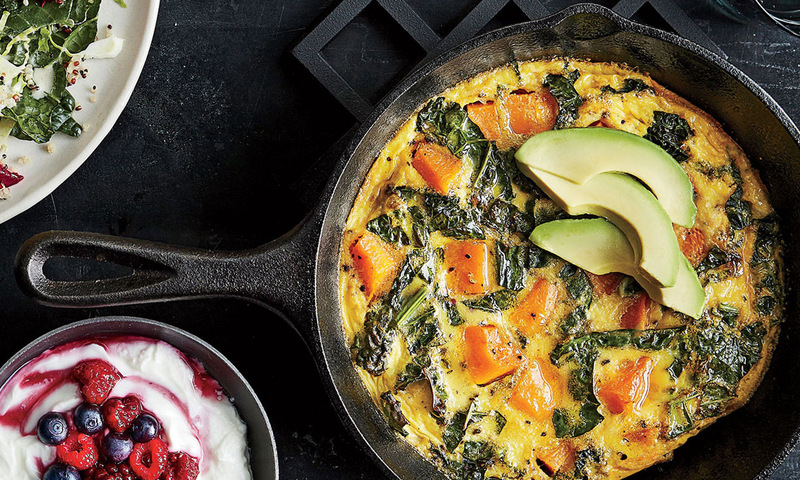 Here, we pair roasted butternut squash with quick-cooking kale for a fiber-rich breakfast duo. A touch of dairy lends creaminess to the egg mixture, which helps achieve the coveted custardy frittata texture. 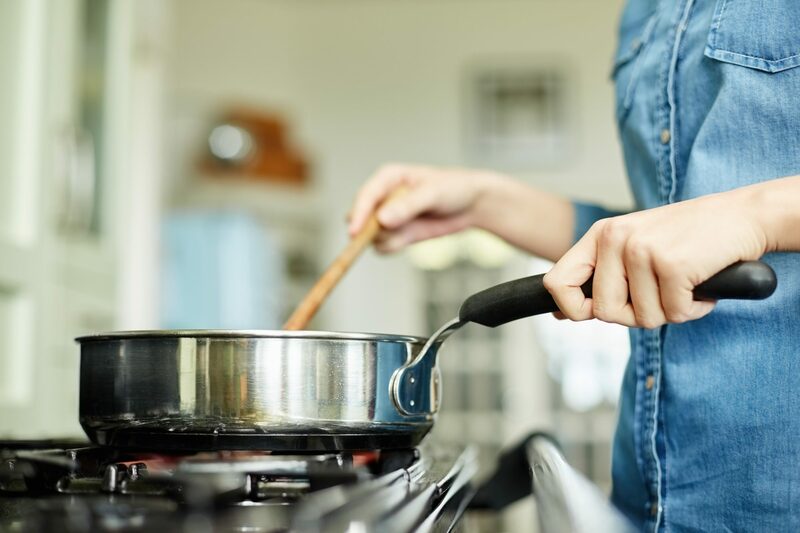 For best results, use a well-seasoned cast-iron skillet and pull it from the oven before the eggs are completely set. Because it retains heat well, a cast-iron will continue to cook your frittata after you remove it from the oven. Butternut-Kale Frittata This recipe originally appeared on Cookinglight.com. If it's the day after a Hanukkah celebration and you've found yourself with a platter of leftover latkes that you don't know what to do with, worry not. Heating up a leftover latke in the microwave is less than ideal—they turn soggy and chewy, rather than keeping that crispy texture that we love so much. Instead of throwing them away (gasp! 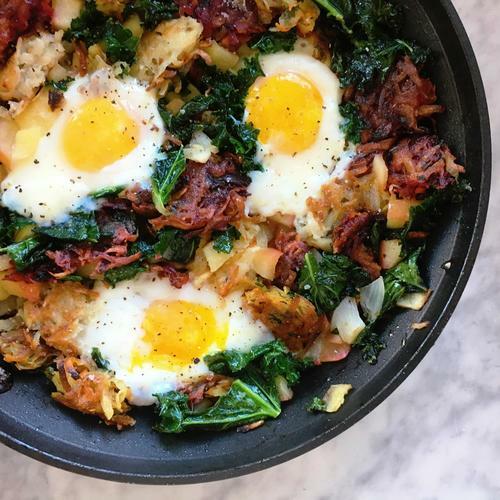 ), we repurposed them into a beautiful breakfast hash that is super easy and customizable. 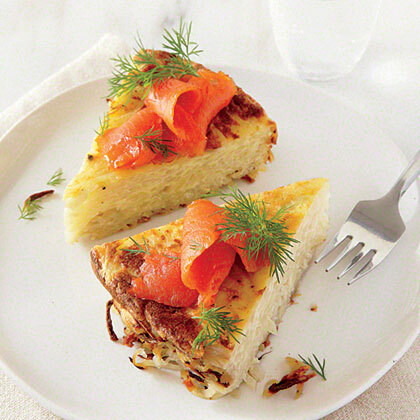 Let no latke go to waste, and make yourself and your family a delicious breakfast for the next morning. This simple pork loin recipe is great alone and leftovers will make great sandwiches. Serving leftovers doesn't have to mean simply reheating yesterday's dinner. Enjoy wraps, stews, tacos, and salads for dinner in no time. Save money on that plane ticket to Paris by indulging in these favorite French dishes at home. Husband-approved meals need to do just two things: taste delicious and satisfy hunger. Here are five recipes sure to make a lasting impression on your man. Whip up one of these five Korean favorites and add spice to your recipe repetoire. Savor traditional Italian flavors like piping hot marinara sauce, melted mozzarella cheese, and loads of garlic in these tried-and-true dinnertime favorites. Enjoy simple and healthful Mediterranean cuisine from the comfort of your own home. Jazz up this pantry staple with 5 fresh ways to prepare rice. Whip up these 5 classic dishes, from pad thai to coconut soup. This St. Patrick's Day, scratch the green food coloring and try your luck on these five classic Irish favorites. 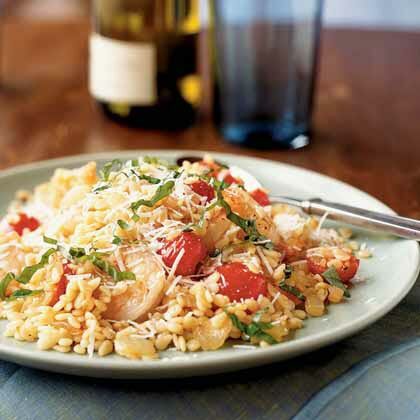 This 5-star shrimp and orzo recipe has simple ingredients, but it is full of flavor. Parmesan cheese works in this dish, too, if you don't have pecorino Romano on hand. Serve leftovers as a great cold pasta salad for lunch. Salmon and Potato Casserole is a great for breakfast or dinner. This casserole is easy to make and great as leftovers, too! Smoked salmon is great for breakfast with eggs, bagels and toast - try these recipes to get your day started. Is This the Best Leftovers Dish of All Time? A dash of curry powder can bring even the most incongruous savory foods together, as our writer discovered in a recent no-recipe cooking breakthrough. This is a great way to use leftover rice.